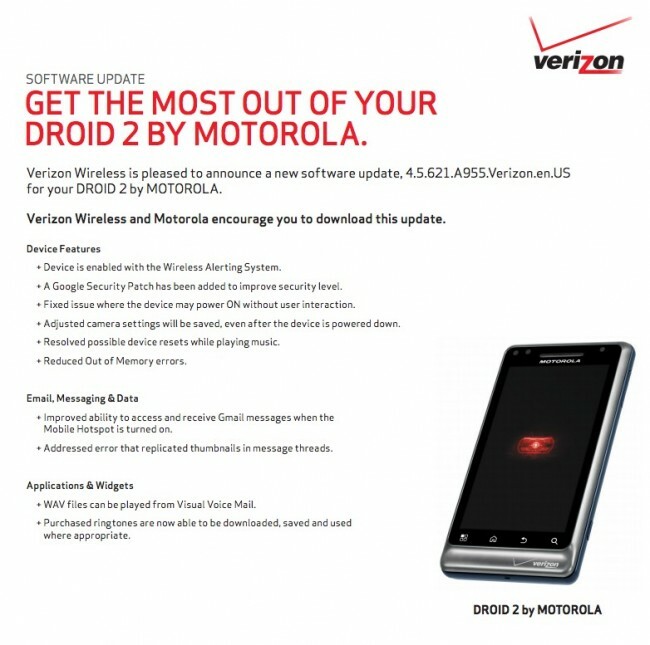 We aren’t sure what took Motorola and Verizon so long, but this was the update that was included in a soak test well over a month ago for the DROID 2. It’s build 4.5.621 and is essentially the same as the update we saw for the R2-D2 version of the phone at the end of March. It’s nothing major, other than the fact that it probably tries to break root, hence the “Google Security Patch” that comes with it. Otherwise, it appears as if this update was ready long ago, as the support doc was created all of the way back in February. Weird. Anyways, head into Settings>About>System updates and see if it as arrived yet. The update is 14MB in size. More info.